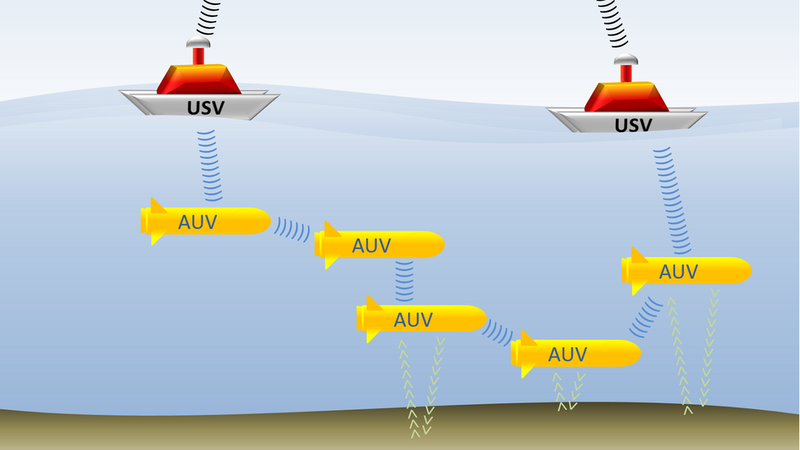 Due to the continuously increasing use of maritime resources and intensified offshore wind energy, the demand for autonomous or semi-autonomous underwater vehicles is growing. Systems available today are generally highly specialised and costly. 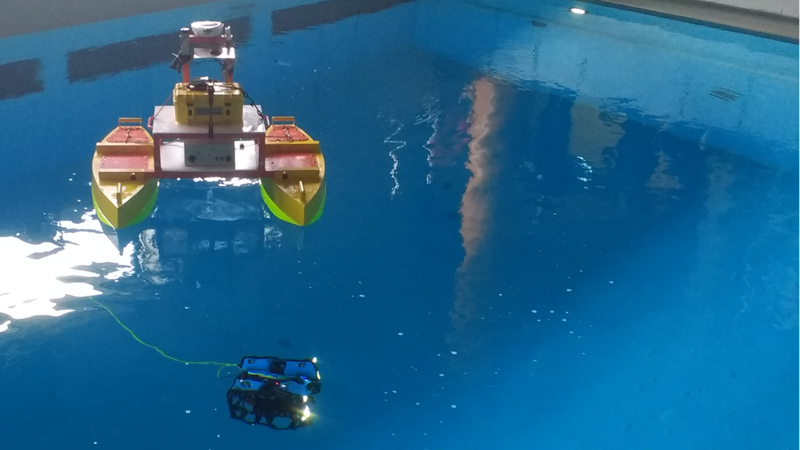 Jade University meets this challenge by developing flexible, innovative technologies for autonomous maritime systems. 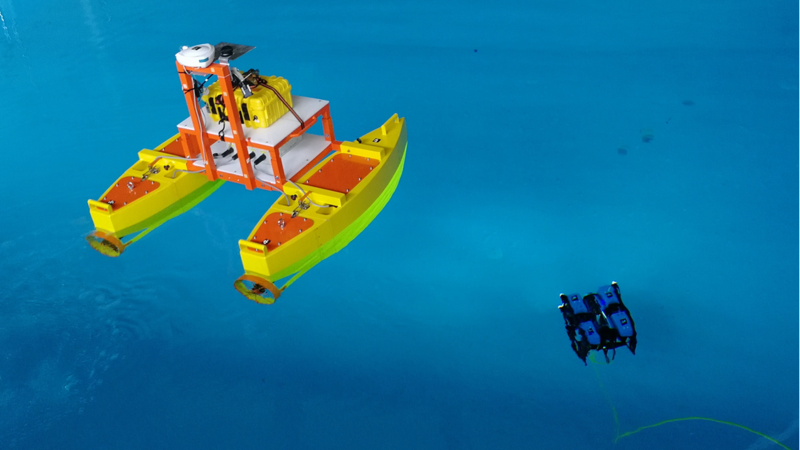 In research and development, the project team focuses on intelligent control architecture, spatio-temporal data management, optical three-dimensional metrology, population-based search algorithms, and an autonomous surface vessel that serves as a communication and positioning relay. The specially developed software enables solutions for a wide range of maritime applications. In various test scenarios, the interdisciplinary team validates the results under real maritime conditions.